View the day by day itinerary for our Myanmar liveaboard. The trip departs from Khao Lak in Thailand. The nearest airport is Phuket Airport. 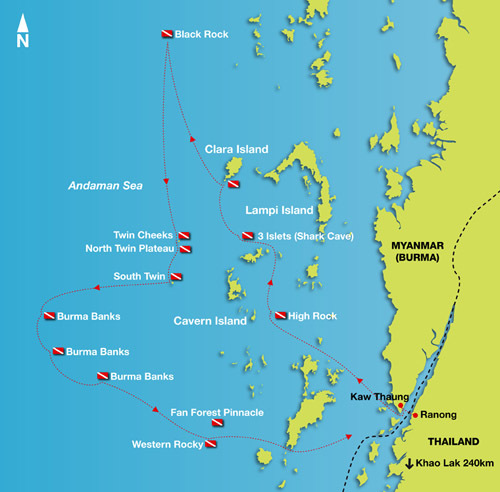 Please DO NOT make your own way to Myanmar as the liveaboard cannot pick you up from there. Myanmar authorities require all liveaboard guests to clear Immigration together. 14:00 – Depart for Kura Buri Pier in air-conditioned minivan – a 90 minute drive from Khao Lak. 15:30 – Arrival Kura Buri Pier. Welcome on board the Dolphin Queen. 18:00 – Sunset Boat departure for Kaw Thaung, Myanmar. Introduction to the Thai crew and foreign dive guides, Equipment check, Boat safety briefing, general route and dives sites briefing. Dinner served aboard the Dolphin Queen. 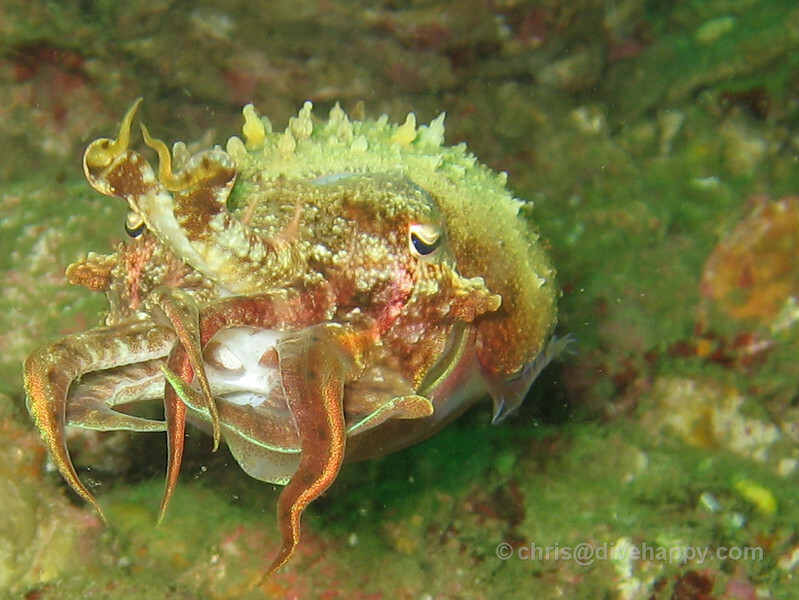 Enjoy meeting your new dive buddies from all over the world while we cruise overnight to Myanmar. As the name suggest , a forest of amazing Giant Gorgonian fans in perfect condition. Tunnel, Nurse sharks, Black tip sharks, Amazing wall dive. After lunch we will visit Moken sea gypsy Village on an amazingly beautiful island. 07:30 – Disembark and take the Air conditioned mini bus to Khao Lak (90 minutes).